Once you’ve seen an audiologist and been tested for hearing loss, your doctor may decide you could benefit from hearing aids. 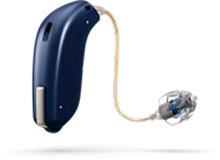 There are a wide variety of hearing aid manufacturers and types of hearing aids available, which may make the process of choosing a hearing aid seem overwhelming. Luckily, our expert audiologists are here to help. Once your hearing loss has been assessed and diagnosed, you will work with your audiologist to choose the perfect pair of hearing devices for your needs. 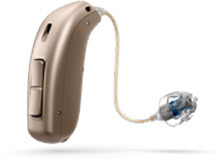 Once you’ve determined which hearing aids are right for you, it is time to order your devices, which will be custom created for your ears. Tinnitus is described as an irritating buzzing, humming or ringing in the ears. What many don’t realize is that it is usually a symptom of a greater problem rather than a disease itself. The first step in treating tinnitus is to diagnose the underlying issue, then you and your doctor can evaluate possible treatment options.